ABS brakes, Electronic Stability Control, Illuminated entry, Low tire pressure warning, Traction control. 2016 Toyota Corolla LE 29/38 City/Highway MPGAwards:* 2016 KBB.com 5-Year Cost to Own Awards * 2016 KBB.com Best Buy Awards FinalistSave even more with the lowest sales tax in Illinois @ 6.25% only at Brian Bemis Toyota. Come see why there's Good, there's Better and then there's Bemis! 2015 Toyota Corolla LOdometer is 16622 miles below market average!Awards:* 2015 KBB.com 10 Best UberX Candidates * 2015 KBB.com 10 Tech-Savviest Cars Under $20,000 * 2015 KBB.com 10 Most Affordable Cars * 2015 KBB.com 5-Year Cost to Own AwardsSave even more with the lowest sales tax in Illinois @ 6.25% only at Brian Bemis Toyota. Come see why there's Good, there's Better and then there's Bemis! Cloth. Recent Arrival! 2016 Toyota Camry LE 25/35 City/Highway MPGAwards:* 2016 KBB.com 5-Year Cost to Own Awards * 2016 KBB.com 10 Best Sedans Under $25,000 * 2016 KBB.com 10 Best UberX Candidates * 2016 KBB.com 10 Most Comfortable Cars Under $30,000 * 2016 KBB.com 10 Most Awarded Cars * 2016 KBB.com Best Buy Awards FinalistSave even more with the lowest sales tax in Illinois @ 6.25% only at Brian Bemis Toyota. Come see why there's Good, there's Better and then there's Bemis! Black/Blue Cloth. 2016 Toyota Camry Special Edition 25/35 City/Highway MPGOdometer is 837 miles below market average!Awards:* 2016 KBB.com Best Buy Awards Finalist * 2016 KBB.com 10 Best UberX Candidates * 2016 KBB.com 10 Best Sedans Under $25,000 * 2016 KBB.com 5-Year Cost to Own Awards * 2016 KBB.com 10 Most Comfortable Cars Under $30,000 * 2016 KBB.com 10 Most Awarded CarsSave even more with the lowest sales tax in Illinois @ 6.25% only at Brian Bemis Toyota. Come see why there's Good, there's Better and then there's Bemis! AWD, Cloth. 2016 Toyota RAV4 XLE 22/29 City/Highway MPGOdometer is 1582 miles below market average!Awards:* 2016 IIHS Top Safety Pick+ * 2016 KBB.com 10 Best SUVs Under $25,000Save even more with the lowest sales tax in Illinois @ 6.25% only at Brian Bemis Toyota. Come see why there's Good, there's Better and then there's Bemis! ** GPS NAVIGATION **, ** POWER MOON ROOF **, Navigation System. 2016 Toyota Sienna XLE 8 PassengerAwards:* 2016 KBB.com 16 Best Family Cars * 2016 KBB.com Best Resale Value Awards * 2016 KBB.com Best Buy Awards FinalistSave even more with the lowest sales tax in Illinois @ 6.25% only at Brian Bemis Toyota. Come see why there's Good, there's Better and then there's Bemis! 4.0L V6 SMPI DOHC, 4WD. Recent Arrival! 2011 Toyota Tacoma Base V6Odometer is 37557 miles below market average!Awards:* ALG Best Residual Value * 2011 KBB.com Best Resale Value Awards * 2011 KBB.com Brand Image AwardsSave even more with the lowest sales tax in Illinois @ 6.25% only at Brian Bemis Toyota. Come see why there's Good, there's Better and then there's Bemis! AWD, ABS brakes, Alloy wheels, Electronic Stability Control, Front dual zone A/C, Heated door mirrors, Heated front seats, Heated/Ventilated Front Bucket Seats, Illuminated entry, Low tire pressure warning, Navigation System, Power Liftgate, Power moonroof, Remote keyless entry, Traction control. Recent Arrival! 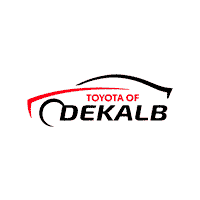 2015 Toyota Highlander LimitedAwards:* 2015 KBB.com Best Buy Awards * 2015 KBB.com 10 Most Fuel-Efficient SUVs * 2015 KBB.com 15 Best Family CarsSave even more with the lowest sales tax in Illinois @ 6.25% only at Brian Bemis Toyota. Come see why there's Good, there's Better and then there's Bemis!